Promoting a business isn't easy, I get it. But how hard are you really trying? Chances are, if you're reading this article, you're at least trying a little bit, which is a good start. Do me a favor though, before you even continue reading to the end of this article, ask yourself one question (and be brutally honest with your answer). After all, you're only talking to youself, so if you can't be honest with yourself, who can you be honest with? Are you reading this article hoping there's a magic formula I have that you can implement in less than twenty minutes, then sit back and just watch the orders roll in? I have news for you, it doesn't exist. There are no magic formulas, no secrets only known to a chosen few, no shortcuts to building a successful business. 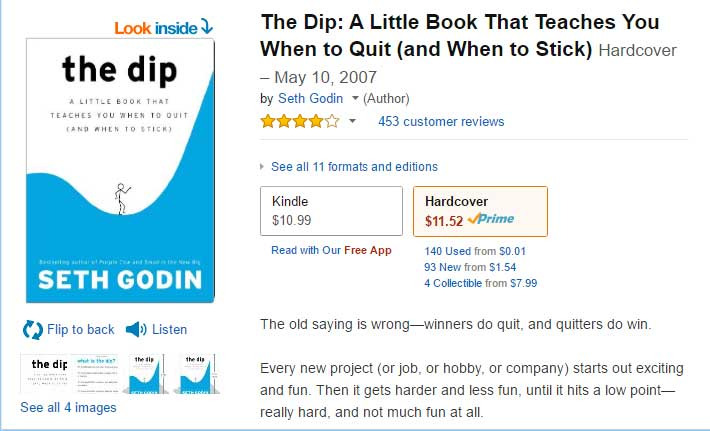 Seth Godin did a great job in describing that mentality in his fantastic book, The Dip. If you answered yes to that question, buy Seth's book (it's a quick read), then come back if you still want to read the rest of this article. In the rest of this article, I'm going to provide you with ideas that do actually work, but you have to be willing to put in the time to implement them. That's all. Just a little good-old-fashioned hard work and effort. Yes, you knew that already (hopefully). But are you using it properly? I see so many small businesses complain that social media isn't working for them or, even worse, have no idea that it could be working for them in the first place. The problem isn't with the platform, millions of brands use social media every day to reach new and existing customers in amazing ways. The problem is in the way you're using them (or not using them). Just like I wrote in my intro, social media isn't a magic bullet where you can post a couple links and expect your product or business to go viral overnight. 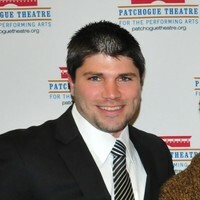 It takes effort, research, subject-area expertise, and perhaps most importantly, time, to do it right and see a return. Check out this article for detailed steps on using social media for your business, complete with a bunch of useful resources at the end. 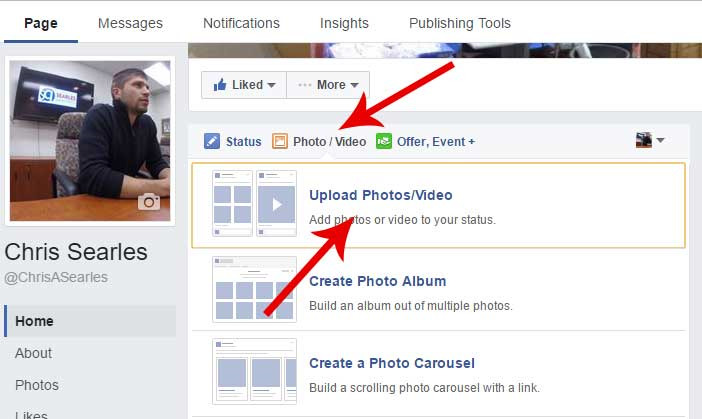 Creating and sharing video content is the absolute best way right now to reach huge numbers of people. The best part? You don't have to spend a dime! I'm assuming you have a cell phone that can shoot video. If you don't, borrow one from somebody that does, or try your local library to see if they can help you out. 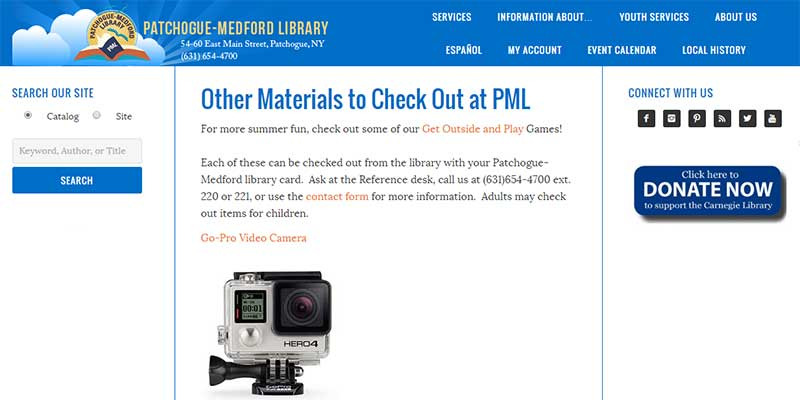 For example, my library has a GoPro that anyone with a library card can check out for the day. Come up with a concept that either requires no editing at all, or use the free editing software for your operating system (iMovie for Mac users or Windows Movie Maker). You can download free music and sound effects from YouTube for use in your video (or upload it to YouTube first and overlay the audio in the YouTube Creator Studio). When you're done, upload the raw video (not a link to the YouTube version) to whatever social media platforms you can and share it with everyone you can. A quick tip: Try to keep your video under 1-minute in length unless you need more. Instagram allows videos up to 1-minute in length (the smallest limit of the major players aside from Snapchat, but that's a completely different animal) so you'll be able to get the full video on all major platforms if you can stick to that limit. Content marketing is a topic in-and-of itself, and there are already volumes written on the subject. The gist is that thought leadership in your niche or industry matters. It helps drive website traffic through referrals and search engines, builds trust with consumers, and helps turn cold prospects into warm leads that are ready to convert. If you already have a blog on your website, use it. If not, head to Medium and create a publication for your business or niche. View the instructions on pointing a subdomain to Medium (i.e. “blog.yourbusiness.com”) here and then link to your blog from your website. It's a new option from Medium so the process is a bit clunky but well worth the minor effort and inconvenience. Spend time creating high-quality, useful content that’s related to your niche but doesn’t try to sell your product or service. Then, spend 4-5 times longer than that promoting your content and getting people to see and read it. There are a huge number of ways to do that, and this Neil Patel guide is one of the best out there (and a terrific example of what high quality content looks like). Keep this up a few times a week for 12-18 months and measure your results. Yes, you read that right, 12-to-18 MONTHS! I told you there was no magic formula, just good old grind-it-out style hard work that will pay off in the long run if you stick it out and trust the process. If you sell B2B, especially to smaller businesses, often this is one of the only sources of leads you may need. While I would encourage you to join your local chamber, this article is about free ways to promote your business, and you don’t need to be a member of the chamber to access the list of members. Go through the list and identify qualified prospects and copy and paste their information into a spreadsheet (Google Sheets is completely free with a free Google account). Set up your leads in your first column, and identify the steps you’re going to take to make contact and follow up with each prospect, and track your progress in the spreadsheet. Remember, it’s easy to make a single call and give up, it’s far more difficult to put in the real work of being persistent (but not annoying or pushy) enough to get a meeting and close a deal. If you sell to consumers, use the list to identify potential partners or retailers for your product or service. Retailers are self-explanatory, but partners can come in a number of forms. Try setting up a marketing partnership with a business that offers a complementary product or service where they recommend you to their clients and you do the same to yours (they’re probably in the market for some free promotion too!). What if I told you there was a place out there where people went out of their way to categorize themselves as perfect targets for your business? What would you pay for access to that kind of information? Well that service exists, it’s completely free, and it’s called Facebook Groups. Whether you’re looking for pet owners in Cleveland, local moms in Burlington, or movie buffs around the world, you’ll have a hard time not finding a group that is relevant to your niche. Join the group and participate, don’t sell! Once you’ve built up enough of a reputation in the community, feel free to drop a link or two to some of your content when it makes sense. Remember, you’re not the only one that’s ever gotten this advice or thought to try to use this feature for your business, so you need to be a genuine member of the community, not just another marketer looking to push product on anyone and everyone. You’ll start to draw some targeted page views for your website where your awesome content will get shared, create return visits, and hopefully generate some email sign-ups. Email is still huge (read this). If you don’t already have one, head over to MailChimp and create a free account (here’s why I recommend MailChimp if you're curious). Use the tools they provide to add sign-up tools to your website so you can capture email addresses from your visitors. To do that, click on "Lists" at the top of the page. 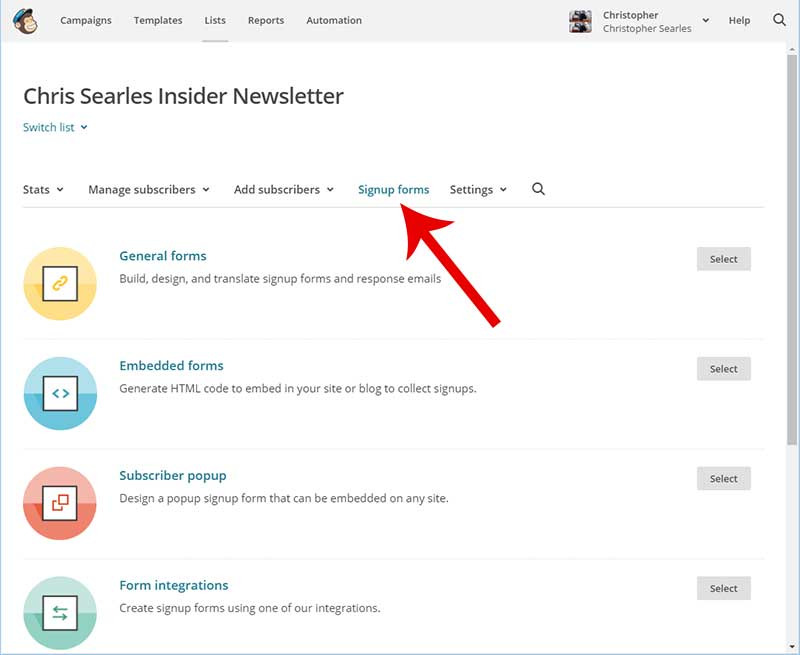 Select the list you want users to sign up for (or click the button on the top right to create a new one). Then click the tab for "Signup forms" and select the best option for your integration (you can reach me on Twitter if you have questions). Then actually follow up with your list and send AT LEAST a monthly email, but ideally you’ll send 1-2 per week. Any more than that and you’ll get a lot of unsubscribers, less and you risk not being top-of-mind for those who would have otherwise bought from you. I make this recommendation with a bit of trepidation. Reddit is extremely tricky and it takes some time to get used to the community before you can really take advantage of its power, but once you do, it can be a game changer. If you’re not familiar with Reddit, know that likely 99.9% of the stuff you see in your Facebook feed was originally discovered on Reddit. Bloggers are known to troll sites like Reddit looking for new content that’s getting a positive response (or perhaps is causing a stir and some controversy). It’s a litmus test for them that ensures what they’re publishing elicits a response and will hopefully generate some page views. You can do the same to find quality topics in your niche to write about. 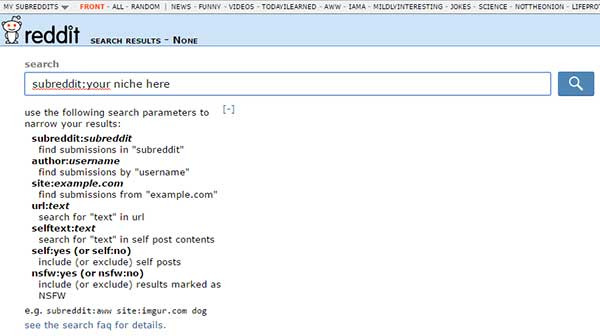 Once you’ve created an account with Reddit, do a search for subreddits in your niche. Subreddits are what Reddit uses to categorize content (again, all that work is already done for you!). Subscribe to some of the popular sub’s in your niche and spend a few weeks getting to know each sub. Each one has it’s own style, rules (Redditors are HUGE on following rules, break them at risk of having your account "shadow banned" for life without even knowing it happened), and guidelines on what should be posted in the sub. With Reddit, starting out by commenting on other’s posts is the best way to get started (many subs won’t even let you create your own thread until you’ve commented and engaged a certain number of times). 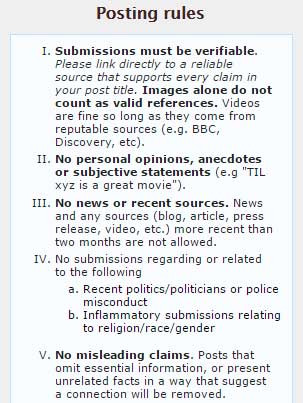 Once you’ve built up some “karma” (Reddit’s measure of how valuable your contributions to the community have been), start submitting high quality posts that don’t link to your own stuff. If you're getting started, check out r/FreeKarma for a little boost. Your best bet if you want to use Reddit to drive page views on your own site is to do so only with someone’s explicit permission to share the link. You can do that by publishing a unique piece of content and indicating at the end that you have a link to share with anyone that’s interested. Wait for someone to ask for it before you post it, and only post it in a way that’s allowed in the rules of the sub you’re posting to. Your other option is to include links in high-quality comments to other people’s posts. Follow the same rules as above and get permission first. 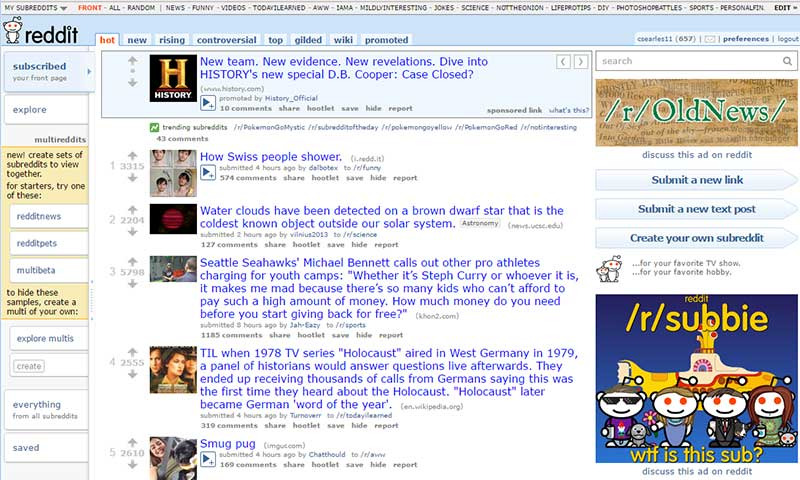 Here's a much more in-depth article from Kissmetrics that only deals with marketing on Reddit. Once again, there’s a group for that. 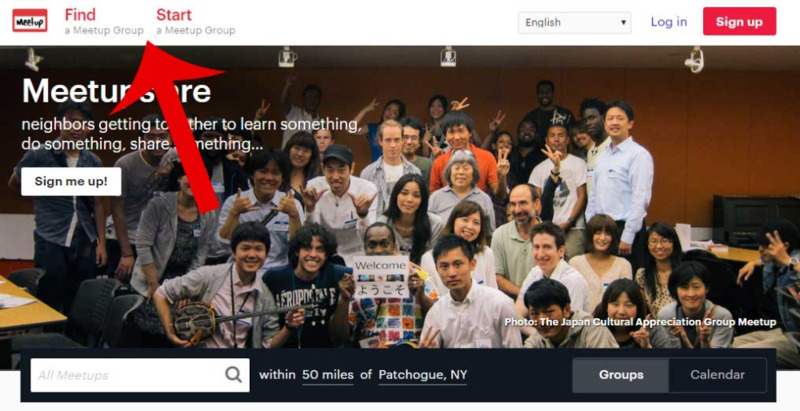 Meetup.com is a great resource for local like-minded people to get together for just about any reason you can think of. It’s quick and easy to search for meetups that are already happening in your area related to your business or market segment. If it doesn’t exist, start one! Use the Facebook groups you’ve joined, existing business contacts, existing customers, your email list, Twitter, Instagram, and anything else you can think of to try to attract people to your meetup. Inviting people to a meetup of like-minded locals or professionals makes it much easier to find passionate people in your industry that you can build a genuine relationship with, rather than just trying to convert a quick sale. It always surprises me how few business owners actively solicit referrals from existing customers. Hopefully you’ve provided an amazing product or service to your customers already (if not, you should probably start there and come back to this article only after you offer a world-class product or service). If you’ve truly done that, your customers will be more than happy to recommend you, sometimes they just need a little push. Reach out to them any way you can; email, social media, on the phone, in person, whatever you need to do to try to drive them to recommend your company to a friend. A great option from a client of ours is a new website called Frendex, where the anonymous reviews are forgone in place of a simple recommendation from friends. I love the concept because it eliminates bogus reviews and reviews from people you've never met and whose opinions you don't value. 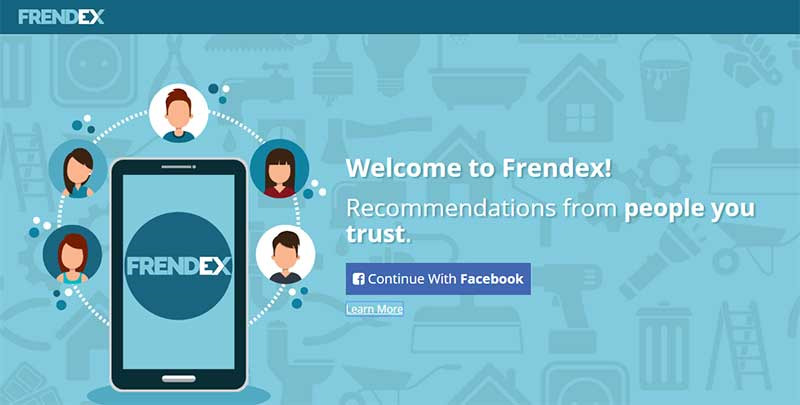 Visit Frendex, create an account, invite friends and ask them to recommend your business in the appropriate category. At the time of writing, the site is limited to home service providers like contractors, painters, plumbers, and electricians, but I reached out to the founders and they assure me that adding more categories is their top priority and will be available shortly. Check out their blog (on Medium, no less!) for updates. It may not be glamorous, but starting a growing a business rarely is (the fake garbage you see on Instagram notwithstanding). Real success comes from grinding it out and hustling to make a sale whenever and wherever you can. Have a product that would appeal to homeowners who have a pool? 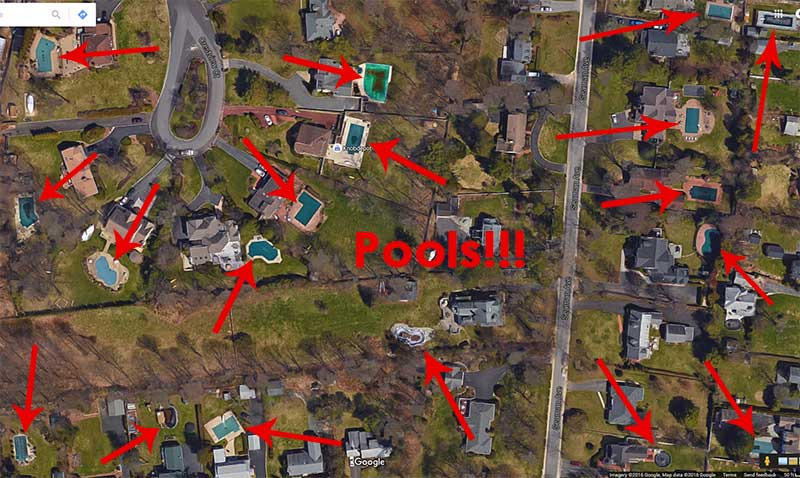 Go on Google Maps, scroll around until you find a neighborhood where you see a high concentration of pools, make note of every address that has one, and knock on doors after work or on the weekends to try to close a few sales. Targeting parents of young children? Talk to local day care centers and see if they’ll allow you to set up a table outside during pickup hours (not drop-off, mom or dad obviously needs to get to work!). Have an amazing product for the beach? Go to the busiest beach in your area and use it, with a giant sign attached somewhere to tell people to come try it out or ask you about it! These are just a few examples but if you want to reach out to me for a few ideas specific to your business, please do! Hopefully by now you’ve gotten my point that there are opportunities to be had, you just need to be willing to take advantage of them and put in the work that’s required when you don’t have the cash to pay someone else to do it for you!